The gelatin-based capsules dissolve easily and quickly in the stomach, where the ginger is released all at once. 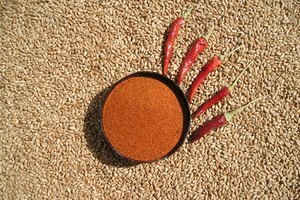 The allows for maximum absorption directly through the lining of the stomach and intestines, where it will begin to kill harmful bacteria throughout the digestive system. While the benefits have long been known for the soothing and healing effect ginger root has on nausea, vomiting and upset stomach due to symptoms associated with pregnancy, motion sickness and some chemotherapy side effects, taking ginger root capsules has also been shown to be effective in treating autoimmune disease by reducing inflammation. 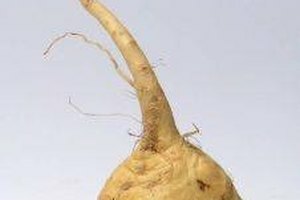 Ginger root has many medicinal uses and properties such as anti-fungal, anti-inflammatory, anti-septic, anti-diarrhea, anti-emetic and anti-bacterial. 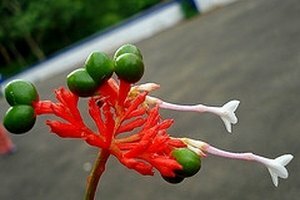 It is considered a warming herb, improving and promoting healthy circulation. 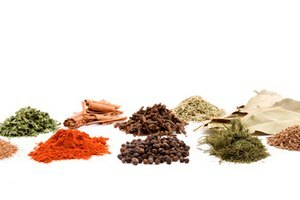 It can be taken both internally or externally, in food products, as a spice, or as a topical treatment, and is used in abundance as a popular ingredient in Asian foods. Ginger root capsules are often sold as a dietary supplement to help heal and relieve the symptoms of osteoarthritis, and many people claim to find relief in taking ginger root capsules for pain and inflammation associated with arthritis. So far, no conclusive scientific evidence has been brought forward to support this claim, however---data is still being compiled by researchers in both the scientific and medical communities. While ginger root capsules are considered safe in small doses over a short period of time (3 to 5 grams for up to four days), there are no known side effects to either a mother or a fetus during this time. 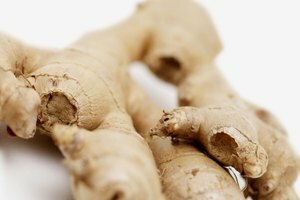 Short periods of rest from taking ginger root is recommended if using ginger root to allay the symptoms of nausea and vomiting.